At Crosshall our friendly and helpful staff can help. We can answer any questions you have and provide you with impartialinformation on which boats to consider to suit your needs, ensuring you are aware of the advantages and disadvantages of the different types of used boats available. Where do you want to use your boat? Do you want a day boat, or one for weekends or for longer periods? How many people would be using it at any one time? Do you want a modern or traditional cruiser? Do you have a rough idea of budget? 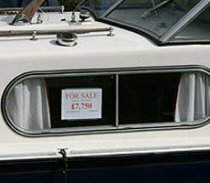 There are many boat search websites which you can use to help you look for used boats for sale. These will give you an idea of what the types of craft are available and their values. Websites include: Boatshop 24, Apollo Duck and Yacht Market. 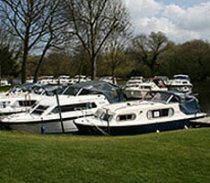 We also advise you to look at smaller local marinas, as they do not all use boat search websites to advertise their used boats for sale. There is always a wide variety of boats for sale in Cambridgeshire. Wherever you may be looking to boat, always check berth availability and the craft’s dimensions before you start your search. We can aid buyers with a comprehensive service, including lifting, survey, insurance, full workshop facilities, chandlery, mooring and transportation.